North American Porsche sales peaked in 1986, and dropped precipitously until Porsche was reportedly on the verge of bankruptcy in the early 1990s. In 1994, Porsche Cars North America (PCNA) hired Piccadilly to act as their contract marketing department for the Canadian market. Armed with a simplified product strategy worldwide and a new marketing focus for North America, Porsche set out to rebuild itself as the iconic global brand it was. Still, the five-year objective for the Canadian market looked very challenging: From a 20-year record low in 1993, reach 1,000 annual unit sales in Canada within five years. Product strategy focused first on the re-designed 911 Carerra model only. The Boxster was launched as the new entry level model in 1996. 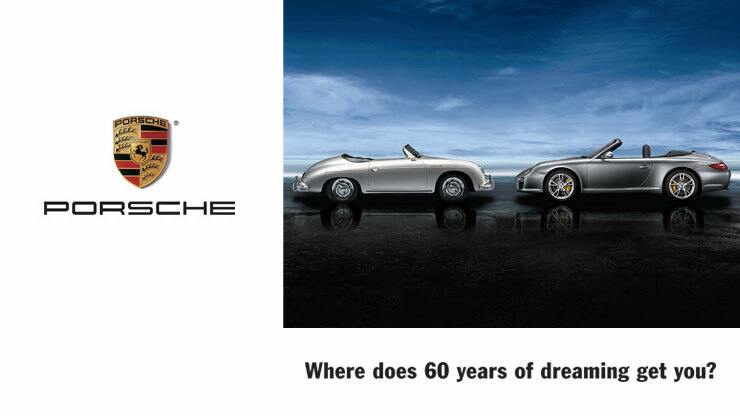 The first stage of brand advertising used quiet humour to humanize the brand, and make Porsche ownership respectable in the eyes of everyone. Piccadilly provided market analysis, planned & executed major consumer & dealer research, and created Canadian advertising in all major media. This set the stage for advertising's second phase—creative targeting of those most likely and most able to buy a Porsche. 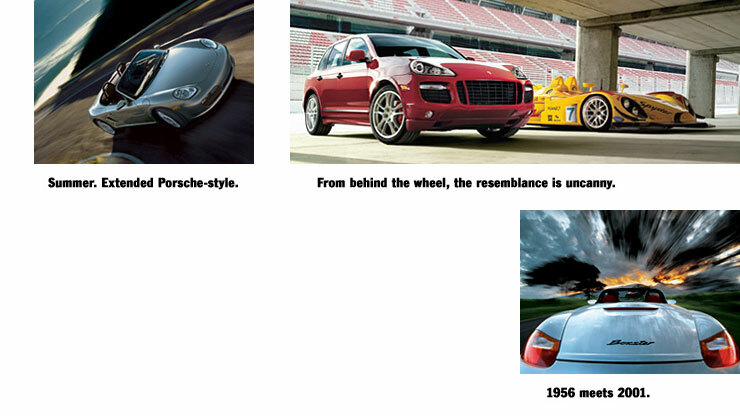 Piccadilly's online display ads where Porsche's first in that medium for North America. Piccadilly also collaborated to provide Canadian media planning and buying. Long-term marketing planning was done in collaboration with PCNA's creative and media partners for the US market. Porsche surpassed its five-year objective before the target date. Sales continued to grow with the launch of the Boxster in 1997 and the Cayenne in 2002. On a per vehicle basis, Porsche became the most profitable automobile manufacturer in the world. Porsche achieved this same profitability success in Canada, and Piccadilly was part of the reason why. The relationship with Porsche lasted 13 years, taking Piccadilly right up to the launch of Porsche’s saloon (sport sedan): the Panamera in 2008.